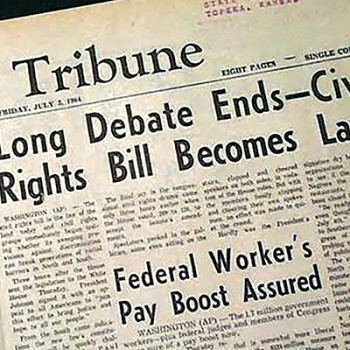 The Civil Rights Act of 1866 marked the first time Congress legislated upon civil rights in US History. It declared that all persons born in the United States as US Citizens. The legislation granted all (white) citizens the “full and equal benefit of all laws and proceedings for the security of person and property.” In addition, all (non taxed) Native American’s were declared to be US Citizens.